All Entries Tagged With: "ice fishing show"
Franks Shanty Days 2016 has something for everyone. One of the largest displays of ice shanties that you’ll see. Plus other great deals. Come out Dec 9th – 11th. 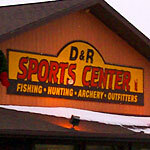 D&R Sports located in Kalamazoo, MI welcomes everyone to their ice show. This event takes place on December 3rd & 4th. Come out for great specials and free seminars. John Bacarella, the owner of Sportsmen’s Direct and the Co-inventor of the Sonic Ice Hopper, will be doing a Free seminar on ice fishing at the brand new 10,500 sq ft retail store of Sportsmen’s Direct November 28th at 5pm. Head over to Franks Great Outdoors December 11, 12 and 13 for the 2015 Franks Shanty Days. This is one of the biggest ice shows in Michigan. Franks Shanty Days has something for everyone including a gigantic display of ice shanties. Whether it’s hunting, fishing, boating, canoeing, hiking, mushroom hunting or bird watching, the 2015 Outdoorama has plenty to offer. 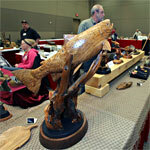 Ice is finally forming on lakes in southern Michigan and anglers will find everything they need for ice fishing at the Ultimate Fishing Show–Detroit’s Ice Fishing Extravaganza and Shanty Truck Load Sale. March has arrived and we all know that means it’s time for the biggest, oldest and best attended outdoors sport show on the west side of Michigan. Swan Lake Sports in Allegan, Michigan invites you to Ice Day on December 7, 2013 from 10 am – 4 pm for special deals on ice jigs plus Team Stopper pro staff. D&R Sports Center is hosting a FREE Ice Fishing Show on December 7th and 8th, 2013. 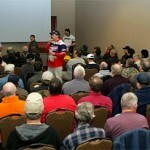 This event will feature two days of free seminars by pro ice anglers. Shanty Days at Franks Great Outdoors! December 7-9, 2012, Frank’s Great Outdoors is having their in-store Shanty Days ice fishing event with seminars, free giveaways, factory reps! Pro anglers like Brian Brosdahl, Mark Martin and Keith Stanton will be there, along with factory reps, to give you tips, pointers, and answer any questions you may have. 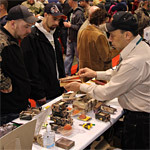 The 2013 Ultimate Fishing Show—Detroit, January 10-13, brings back the Ultimate Ice Show bigger and better than last year! 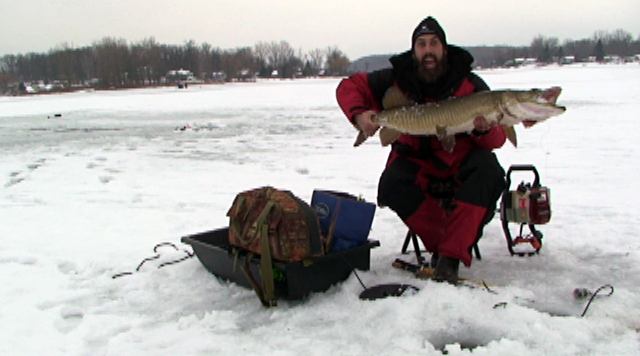 Frank’s Great Outdoors Ice Fishing Series is back with a bigger seminar lineup of expert ice fishing anglers. 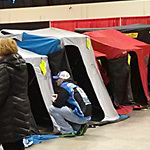 Normark brings in Ice Force and Angler’s Point Marine adds top area pro ice anglers. D&R Sports Center is hosting a free two-day weekend Ice Fishing Show on Saturday, December 1 and Sunday, December 2, 2012 in Kalamazoo, Michigan.